In late July 2015, the international media briefly shifted its attention to Kim Jong Un’s younger sister, when a defector-run publication Daily NK reported that she now holds “de facto” control of the Workers’ Party of Korea’s (WPK) Propaganda and Agitation Department (officially called the Publicity and Information Department, hereinafter called PAD). The possible development comes less than a year after North Korea’s Korean Central News Agency (KCNA) identified Kim Yo Jong, 27, as the occupant of another senior-level position: Vice Department Director of the WPK Central Committee. Figure 1. Kim Yo Jong sits with core DPRK officials at a March 2014 concert. Kim Yo Jong’s political rise has been the subject of rumor and informed speculation since her brother assumed power in December 2011, but this latest claim may have greater bearing on North Korea’s future behavior. If the report is accurate—and her recent career trajectory makes it plausible—her role in the WPK Propaganda and Agitation Department secures her status as one of her brother’s closest aides and one of the most powerful cadres of his young regime. Specifically, her association with the propaganda office and its state-media managers strongly suggests that in addition to the myriad technical and administrative tasks she reportedly carries out for her brother, Kim Yo Jong has become the leading image maker for her brother and the DPRK as a whole. Kim Yo Jong’s ascendancy is best understood in the context of her lifelong bond with North Korea’s head of state, or Suryong. She and Kim Jong Un shared an isolated two years living and studying in Bern, Switzerland, after their older brother Kim Jong Chol left the country in 1998. Their seclusion in the Swiss capital extended to their homeland, where social and emotional isolation appears to have been a defining force in their early lives. The siblings shared several traumatic incidents, including the 1998 defection of their maternal aunt and her husband, the 2004 death of their mother, and the 2011 death of their father. Such instances of personal upheaval could conceivably have alienated the siblings from one another, but the early life challenges that Kim Jong Un faced with his sister appear only to have strengthened their sense of mutual trust. As Kim Jong Un began to assume power, his relationship with Kim Yo Jong revealed apparent similarities to the bond their late father shared with his own sister, Kim Kyong Hui. In the Daily NK report, a Japanese source with ties to the DPRK’s leadership said that Kim Yo Jong helped to consolidate power into Kim Jong Un’s hands. The source added that their aunt, Kim Kyong Hui, performed the same feat for Kim Jong Il during their family’s first dynastic succession. Like her aunt before her, Kim Yo Jong enjoys direct and fairly unfettered access to the supreme leader, as well as full briefings on the country’s current affairs, policies and future plans. Unlike Kim Kyong Hui, however, Kim Yo Jong has given no indication of playing a direct, substantive role in formulating policies or ensuring that her brother’s instructions are implemented. Still, she is one of Kim Jong Un’s original advisers and—with the exception of his wife Ri Sol Ju—the only relative with whom the supreme leader is known to have a close relationship. Kim Yo Jong followed in her father’s footsteps by starting her public career at PAD. Known officially as the WPK Publicity and Information Department, the office manages North Korea’s cultural affairs and news media. It is responsible for daily operations and personnel appointments in the Publication Guidance Bureau (which controls news reporting and publishing), the Central Broadcasting Commission (in charge of DPRK radio and television), film studios and performing arts troupes. PAD also directs political education, regular ideological indoctrination activities and public events. The office operates in cooperation with the WPK Organization and Guidance Department, the second of the party’s two “control tower” departments. Figure 2. Overview of the WPK Propaganda and Agitation Department (PAD). Figure compiled by Michael Madden. Figure 3. WPK Propaganda and Agitation Department (PAD) headquarters in central Pyongyang. 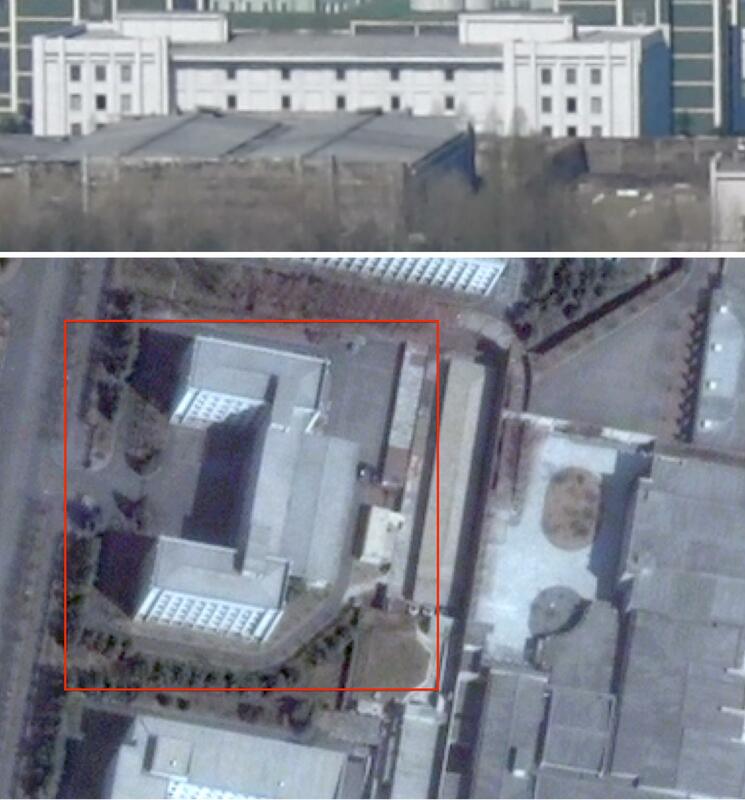 Photos: DigitalGlobe and NK Leadership Watch. Kim Yo Jong’s rise within the organization is perhaps best illustrated by her orchestrated appearances alongside two of its veterans: PAD Director Kim Ki Nam and Senior Deputy Director Ri Jae Il. Her appearances in the below publicity photos suggests that the older media officials were partially shepherding her career at the agency; apparently, she was receiving training to be a reliable successor at the helm of North Korea’s media and cultural affairs. She made her first explicit appearance in DPRK state media while accompanying Kim Jong Il on a May 2009 trip to the Wonsan University of Agriculture. During that trip, she posed for a commemorative photo with Ri Jae Il and Kim Ki Nam as well as both of her brothers. Figure 4. Kim Yo Jong on the May 2009 trip to Wonsan University of Agriculture. 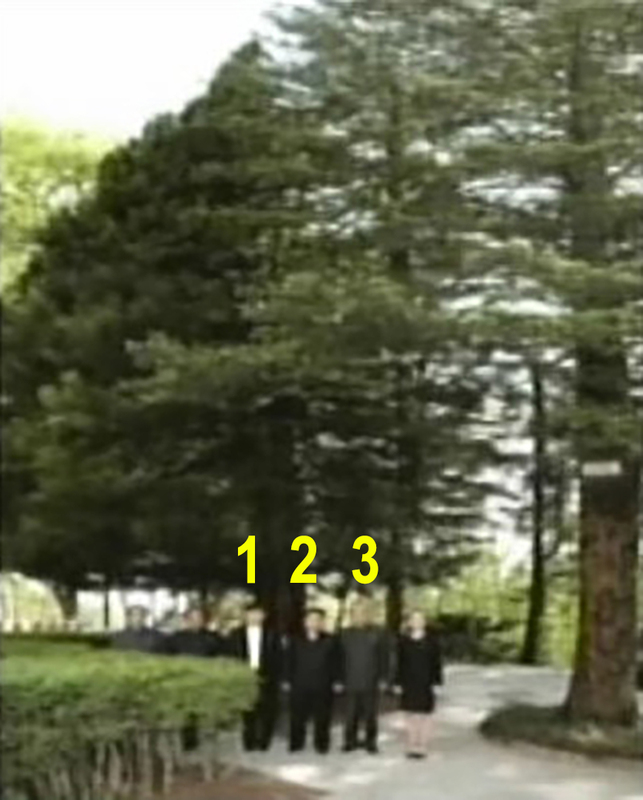 Kim Yo Jong (right) seen in May 2009 with Ri Jae Il (left) Kim Jong Chol (1), Kim Jong Un (2) and Kim Ki Nam (3). Photo: KCNA and NK Leadership Watch. According to Daily NK’s July 20 report, Kim Yo Jong has effectively replaced Kim Ki Nam as the head of PAD. Kim Ki Nam, who remains the organization’s director in name, has participated in DPRK state media production for nearly five decades. The 84-year-old is called by DPRK migrants as the “master of slogans” and served as one of the North’s leading wordsmiths, authoring various editorials and ideological works credited to Kim Il Sung and Kim Jong Il. During a 1970s succession struggle between the children of Kim Il Sung’s two wives, Kim Ki Nam—a senior news editor in neither matrilineal line—allied himself with Kim Jong Il and refused to publish news or photographs of his competitors for the hereditary succession. They remained close friends from the 1970s onward, meeting regularly to dine, drink and attend WPK Central Committee banquets. Kim Ki Nam was one of the “gang of seven” who escorted Kim Jong Il’s hearse following his death. Since that time, his long-time confidante has appeared to turn daily management of PAD over to Kim Yo Jong and join some of his former cohorts in semi-retirement. PAD’s ostensive director may have stepped aside, but Kim Yo Jong is expected to maintain her established working relationship with PAD Senior Deputy (or First Vice) Ri Jae Il. Another holdover from Kim Jong Il’s tenure, the 79-year-old oversees the daily administration and operational management of North Korea’s news and media outlets. He previously headed the Publication Guidance Bureau, a state censor on press and publishing. Since Ri’s 2004 appointment to his current position, he has served Kim Jong Il and Kim Jong Un as a reliable body man. Figure 5. Kim Yo Jong on visit to the April 26 Children’s Animation Studio in November 2014. 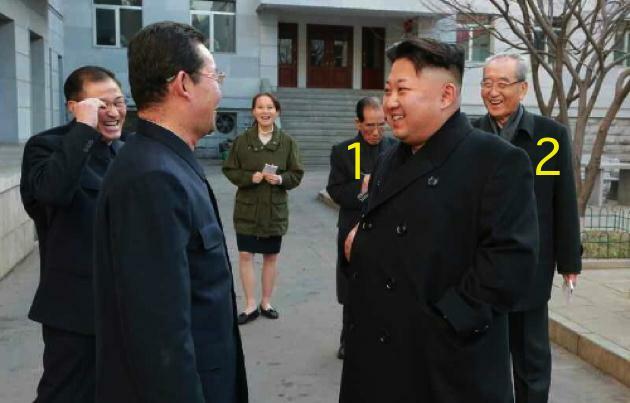 Kim Yo Jong (back), Ri Jae Il (1) and Kim Ki Nam (2) accompany Kim Jong Un (front). Photo: KCNA and NK Leadership Watch. Dual Hats within the WPK? In July 2013, sources in North Korea and a number of ROK media outlets claimed that Kim Yo Jong had joined Kim Jong Un’s Personal Secretariat to manage scheduling, logistics and security for her brother’s on-site visits, military field inspections and other public appearances. Due to the number of different security, party and government agencies involved in Kim Jong Un’s public appearances, there is a very good chance that Kim Yo Jong holds positions in PAD as well as the National Defense Commission, which houses her brother’s Personal Secretariat. Whatever her formal title, Kim Yo Jong’s responsibilities within the Personal Secretariat made her a key gatekeeper for her brother; she exerts considerable control over the people Kim Jong Un interacts with and who has access to him. If Kim Jong Un’s younger sister effectively controls PAD, she now wields considerable influence over how policies are depicted in various state media outlets, possibly helping to explain several discernible changes in the state media’s reporting under Kim Jong Un’s leadership. For example, Pyongyang watchers and DPRK citizens now receive regular glimpses of where the Suryong works and lives. Kim Jong Un and his wife make public appearances that are covered contemporaneously by state media, a step beyond the retrospective documentary films to which coverage of Kim Jong Il was generally limited. In another departure from the strategies of his father, Kim Jong Un delivers public addresses—including a revival of the annual New Year’s Speech of his grandfather. The current supreme leader’s public image is largely the work of his father, and Kim Yo Jong is one of few people who had a close relationship with both leaders. With her knowledge of the two men, she can help Kim Jong Un to craft his image and leverage his most charismatic qualities. Second, there has been a marked change in how North Korea reports its domestic affairs, and more importantly, how it communicates its worldview to observers in Washington, Seoul and Tokyo. In April 2012, DPRK state media reported that the Unha-3 space launch vehicle (SLV) crashed after it was launched, in contrast to previous launch failures. With photos and broadcasts, DPRK state media has disseminated the identities of key personnel in sensitive programs such as internal security and nuclear detonations. The following year, Pyongyang watchers marveled at DPRK state media coverage of Jang Song Thaek’s removal from office, his trial and his ultimate execution. The degree of publicity—the fact that a tribunal and execution of a senior official was even publicized—around the affair was unprecedented. Perhaps Kim Yo Jong was directly involved in KCNA and KCBS reporting about her uncle’s epic downfall. Maybe that’s why the denunciation of Jang was so personal. Within the DPRK government, inter-Korean organizations and the WPK, communications subject to PAD editorial approval have a quicker turnaround than in the past. What once took two or three days to elicit a response from Pyongyang is now seen within 24 hours. This new responsiveness probably is not the work of older members of the state media apparatus; rather, it likely results from younger people acting under the supervision of someone equally young—people who have lived or studied outside the DPRK and learned about crisis public relations, US and UK news cycles, and strategic communications, and likely have unrestricted Internet or media access. Kim Yo Jong’s fingerprints may not be all over these changes in DPRK media behavior, but the country’s next generation of media writers and editors would need a very powerful patron and wide administrative latitude in order to change the technical operations and behavior of state media and cultural organizations. Lee Sang Yong. “Kim Yo Jong in de facto power of PAD.” Daily NK. July 20, 2015, http://www.dailynk.com/english/read.php?cataId=nk01500&num=13352. Rauhala, E. “New Kim on the Block: The Rise of Kim Jong Un’s Little Sister.” Time. November 27, 2014. Speculation and reporting in ROK media has claimed Kim Yo Jong was working in the WPK Organization Guidance Department or helped to manage the Kim family’s finances under the auspices of the WPK Finance and Accounting Department. In 2013, North Korean sources claimed that she was working in Kim Jong Un’s Personal Secretariat—his executive office—managing her brother’s schedule and his on-site visits. Shared trauma was also the cornerstone of the sibling relationship between Kim Jong Il and Kim Kyong Hui. Their brother died after drowning in a retaining pond in 1947. Their mother died in 1949 from complications due to an extra-uterine pregnancy when Kim Kyong Hui was three and Kim Jong Il eight. During the Korean War, they left the DPRK and resided in China for two years, unsure as to whether their father would survive the conflict. The siblings later contended with Kim Il Sung’s second wife, who neglected and abused Kim Kyong Hui, while vying for the attention and affection of their difficult, distant father. Aggregate interview data acquired by Michael Madden. Kim Jong Il was appointed section head of PAD’s Culture and Arts Section when he was 26 and was promoted to deputy director of PAD (Kim Yo Jong’s last known position) when he was 29. Kim Jong Il and Kim Yo Jong are not the only members of the ruling family with career history working in PAD. Kim Jong Il’s daughter Kim Sol Song worked at a party publishing house (controlled by the PAD) early in her career and Kim Yo Jong’s eldest brother Kim Jong Chol was long rumored to work at PAD; in fact the byline Kim Jong Chol appears in DPRK publications. Control tower departments refers to the PAD and the WPK Organization Guidance Department (OGD). Of the WPK Central Committee’s 22 departments, PAD and OGD report directly to the supreme leader, have a broad mandate and stretch out into the other Central Committee Departments, as well as throughout the party, army and government. The phrase “control tower” has also been applied by some scholars to identify powerful regime officials such as the late Jang Song Thaek. For this usage of “control tower” see Ken E. Gause, North Korean Leadership Dynamics and Decisionmaking under Kim Jong Un (Center for Naval Analyses, March 2013; revised 2014). From 2007 to 2014, the WPK Administration Department (AD) was the party’s third “control tower” department. The AD’s power has reverted to the party’s Organization and Guidance Department. Personal Secretariat employees have historically had external-use job titles such as deputy director of the WPK Organization Guidance Department or deputy director of the WPK PAD. Kim Jong Il, by contrast, typically assigned such responsibilities either to distant relatives of the Kim family or individuals with whom the Dear Leader shared longstanding personal ties. One long-time events director was Kang Sang Chun, who later became the head of KJI’s Personal Secretariat (equivalent to White House Chief of Staff). Kang was a classmate of KJI’s at the Namsan School and Kim Il Sung University. When Kang was elevated, he was replaced by KJI’s daughter Kim Sul Song. The events director during the transitional period from 2009 to 2012, was Kim Chang Son, the son-in-law of Ryu Kyong Su and Hwang Sun Hui. When Kim Yo Jong was growing up, Kim Chang Son is someone she often saw at her house working for her father. Kim Chang Son was the last known director of Kim Jong Un’s Personal Secretariat.